GADGET FLOW- DO A HASSLE-FREE SEARCH! You are at:Home»Reviews»GADGET FLOW- DO A HASSLE-FREE SEARCH! This app is an online platform that helps to discover gadgets and gifts. You can find anything related to your everyday essentials and gadgets on AR technology. It’s not just a marketplace for products which are already in the market, but a great platform for crowdfunding as well. What’s the biggest confusion while buying a gift for someone you adore? Don’t know? But the answer is in the question itself. You’re always confused about ‘what to buy’ for the one you’re gifting to! As with the advancement of technology and change in the lifestyle, people have everything with them today. So it’s difficult to decide what should we present to each other on a special occasion or festival? We consult our friends, our relatives and the most common is the ‘Internet’- the chamber of all the answers. When we’re confused about buying something like a gadget, then we surf the Internet and navigate from one page to another and still don’t find a proper product to buy. But here is something which might help you to solve that problem and will save you a lot of time as well as efforts. It’s none other than “Gadget Flow”, which you might have heard earlier in the year 2012 when it was first launched. It’s now updated to the latest version with more features where you can view all of your favorite products in Augmented Reality. Let’s begin with the Gadget Flow! This app is an online platform that helps its users and subscribers to discover gadgets and gifts which are listed on the app. You can find anything related to your everyday essentials and many more things and electronics as well. It’s not just a marketplace for products which are already in the market, but a great platform for crowdfunding as well. Gadget Flow is the easiest way to get a product seen by a different audience, which is the success of crowdfunding projects. 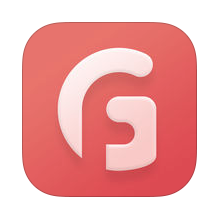 This unique app has been developed by Gadget Flow, Inc. The app requires iOS 9.0 or any later version of the Operating System in your iPad, iPod touch or iPhone. Gadget Flow requires a Sign Up before using it. You can Sign Up using Google, Facebook or just by entering your details. After that you can see the products in different categories such as if you’re looking for cooking essentials, household items or anything related to your interior, etc. There are more than 12,000 products in 144 different categories with 12 new products created every single day. For the products you’re interested to buy or willing to buy in the future, you can create a wishlist for them which you can choose to be public or private. If the products are available currently and you want to buy then you can proceed further. You can also discover exclusive discounts and deals using the deal finder with the Gadget Flow app. Getting a product’s description has become hassle free with the use of Gadget Flow because, every detail of the product is clearly described with the high quality pictures and videos so that you can take your opinion. What else you want? I think it’s the most wonderful app to discover gadgets online which not only saves your time but also gives you a great experience. So, keep shopping with the Gadget Flow app and surprise your dear ones! The app is available for free on the iTunes Store. Download it now! Pros: simplified way to find gadgets online; nice gifting ideas; over 12,000 products; simple to use; easy to navigate interface; brilliant graphics; HD picture quality; free to use. Previous ArticleIMEI CHECKER PRO- YOUR SMARTPHONE’S DETECTIVE!